We publish here in agreement with author Pål Steigan, a translation done by the Professors’ Blog of a publication in the Swedish-based blog Jinge.se. For newer analyses on this subject, go to Flaws & contradictions in the Dutch report on MH17. Fifteen months later none of this alleged evidence has been put forward. Where are these satellite photos of launching ramps missile trajectory? The Dutch investigation the Commission has estimated a spread area of ​​320 square kilometres from which the said launching site would possibly have fired. But John Kerry knew exactly where it came from already on July 21, 2014. Why does not he just show these images, so [the exact site of the said launching] could be solved once and for all? Is it because those [images] do not exist, or that if they do, they are not pointing in the direction Kerry wants us to see? It is highly incredible that the US, which has satellites that can take pictures so clear and [zoomed] in so detailed scale, has not been able to display any single picture of the disaster. And when it comes to America’s total absence of evidence about the MH17 crash we may paraphrase Sherlock Holmes: It gets more and more curious! State Secretary Kerry in NBC’s Meet the Press. 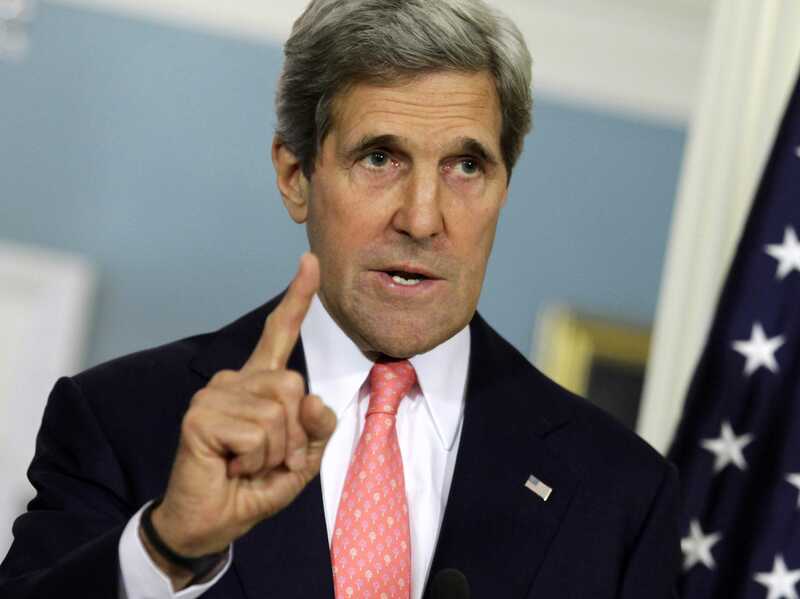 Quoted in “Kerry: Europe Should ‘Join the U.S. and President Obama in Taking the Lead’ on Russia“, CNSNews.com, 21 July 2014. Robert Parry, “Fake Evidence Blaming Russia for MH-17?”, Consortiumnews.com, 18 May 2015. Veteran Intelligence Professionals for Sanity (VIPS), “Shoot-Down of Malaysia Airlines Flight MH17: U.S. Intelligence Officials Demand Release of Intel Report“, Global Research, 22 July 2015.